Sri Lanka Telecom PLC. (SLTL) is one of Sri Lanka’s most valuable blue chip companies with a market capitalisation which, as at 31st December 2017 topped Rs. 51 billion. Sri Lanka Telecom is the leading Digital Service Provider and the leading broadband and backbone infrastructure services provider in the country. The two main shareholders of Sri Lanka Telecom as at year end were the Government of Sri Lanka which held 49.5% stake in SLT through the Secretary to the Treasury and Global Telecommunication Holdings (GTH) N.V. which owned a stake of 44.98%. The balance shares are publicly traded on the CSE. The Company has been awarded a National Long Term Rating of AAA (lka) and a B+ rating on Long Term Corporate Credit Rating by Standard & Poor’s. The SLT Group has a customer base of over eight million including multinational corporations, large and small corporate, public sector, retail and domestic customers. The SLT Group provides a full range of ICT facilities and services in the areas of voice, data, broadband, wholesale, enterprise, TV and mobile services. One of the key strategic objectives of the SLT Group is to drive broadband-based consumer and enterprise services by expanding the broadband footprint via ‘Next Generation Network’ and ‘National Backbone Network’ and Next generation access of ADSL2+, VDSL2, optical fibre, carrier-grade Wi-Fi and both fixed and mobile 4G LTE technologies. The Group’s total integrated solution portfolio includes voice, networking, data hosting, managed services, cloud computing services and mobile based consumer and enterprise solutions provided through its fully owned subsidiary, Mobitel via its 2.5G/3.5G/4G LTE networks. In 2017 SLT continued FTTH service expansion in the dense urban and urban areas to provide ultimate experience of ultra-fast fixed broadband. In 2017, SLT Becomes the First Telco to Successfully Field Test Pre-5G LTE Advanced Pro Technology in South Asia achieving; 855.9 Mbps user throughput achieved using Advanced Carrier Aggregation in TD-LTE 2500 MHz band, Over 700 Mbps cell throughput achieved on a single TDD Carrier using Massive MIMO and 5.5 millisecond user plane latency showcased. In 2016, mobile subsidiary Mobitel has successfully trialed 4.5G LTE-Advanced Pro Technology another first in South Asia which is capable of achieving speeds exceeding 1 Gbps. SLT aims to be a key regional player by providing Global Services through major investments in multiple international submarine cable systems such as SEA-ME-WE 5, SEA-ME-WE 4, SEA-ME-WE 3, Bharat-Lanka submarine cable system and Dhiraagu-SLT submarine cable system and Multiple inter-connected data centres. SLT has been recognised by the top Enterprises and SMEs in Sri Lanka as the best and most reliable ICT Solutions Provider. Also the company was entrusted by other telecommunications operators in the country as the wholesaler of choice and the best network provider. SLT's ‘Enterprise Solutions’ encompass the entire gamut of next generation voice, networking, data hosting and managed services to facilitate local enterprises and SME businesses to compete in the global arena. The Sri Lanka Telecom Group provides an entire gamut of ICT solutions in the areas of fixed and mobile telephony, broadband, data, IPTV, cloud computing, hosted services and networking solutions to its valued customers via the latest cutting edge technologies and also diversified services. 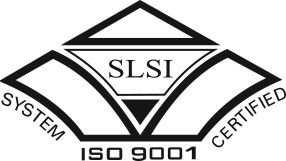 SLT’s subsidiaries operating under the group include: Mobitel (Private) Limited (mobile service provider), SLT VisionCom (Private) Limited (IPTV support services), SLT Publications (Private) Limited (directory publication services), SKY Network (Private) Limited (wireless broadband operations), Sri Lanka Telecom (Services) Limited (providing total network solutions to corporate and small business customers), SLT Human Capital Solutions (Private) Limited (providing workforce solutions), SLT Property Management (Private) Limited (managing the group’s properties for better utilization of resources and stretching its operations into diversified businesses), SLT Campus (Private) Limited (Providing Higher education services of ICT and business management), eChannelling PLC (Software development and ICT service provider – Healthcare industry) and Galle Submarine Cable Depot (Private) Limited (Submarine Cable Depot Service Provider).